If you have a Mac and you are an Office 365 user you are in luck. The division that is in charge of the experimental projects within the company presented an application for macOS that will help you to be more productive. The new Workspace application will be installed in the toolbar of your Mac , being able to access it from your files in OneDrive, start a video call in Skype and see what your next appointments are. A place where you have everything centralized. 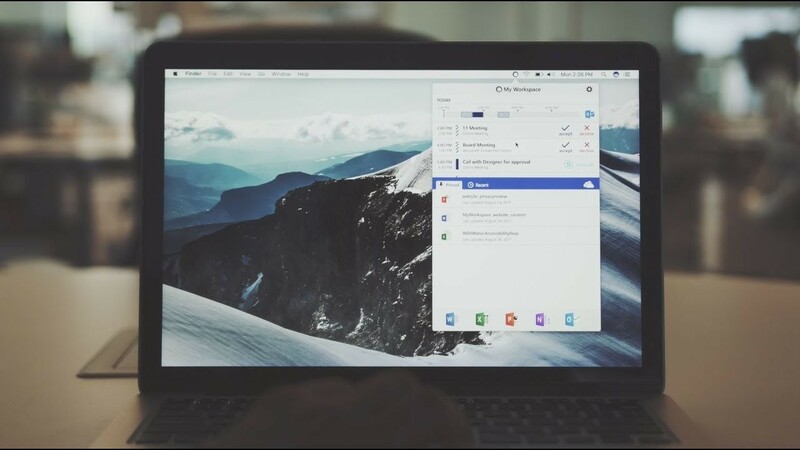 Workspace is the first application for Mac that comes from Microsoft Garage . We have already spoken on other occasions of this group in charge of developing experimental applications, launching very interesting solutions to the market. In the case of Workspace, we have a completely free application , centralizing everything in one place. Once we have logged into Office 365 we will see a kind of feed with notifications that tell us all the possible interactions. We will be able to personalize many aspects of the application, being able to order the priority of notifications and deactivate those that do not interest us. Obviously, it will also serve as an Office 365 application launcher such as Excel, Word, PowerPoint or OneNote.